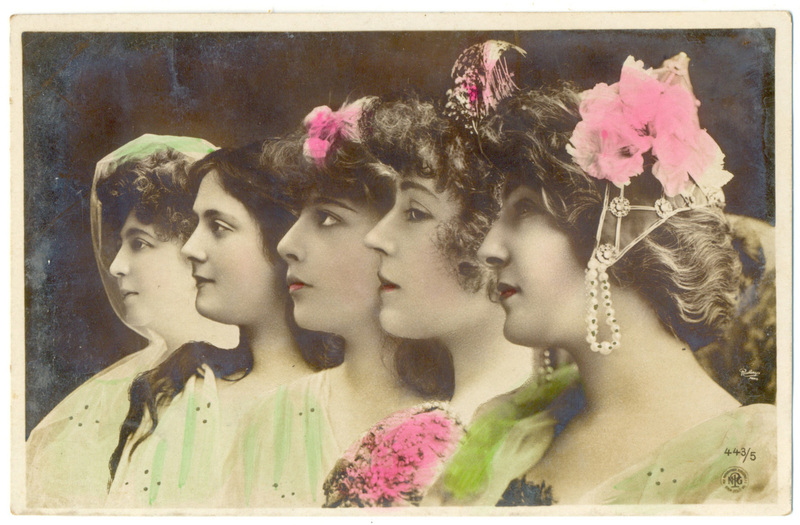 Vintage postcards are often tinted, and this is an example of different variations. Postcard SIP 155/15. Caption: Lantelme. Gymnase. 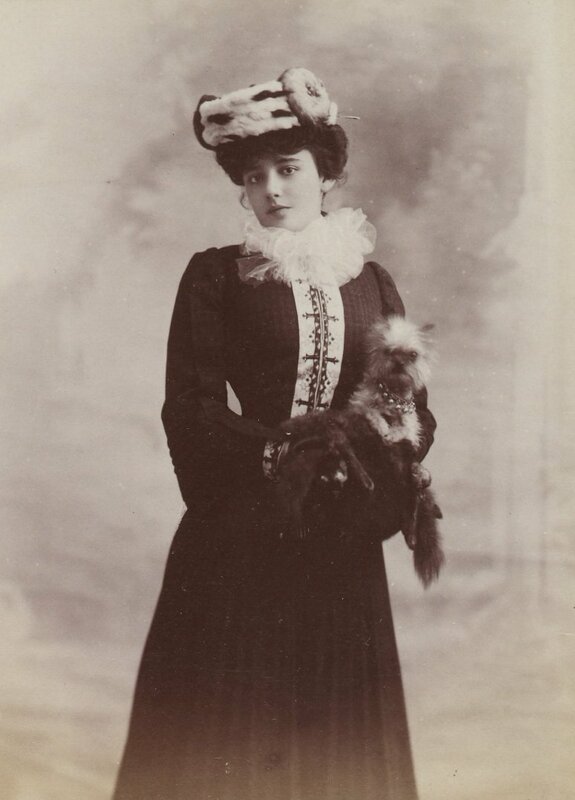 Photo by Reutlinger (circa 1903). 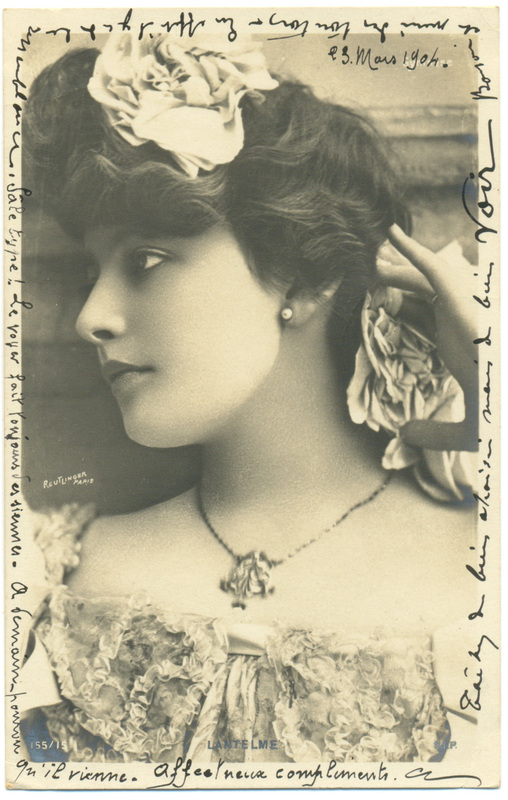 Postcard NPG 443/5. No caption (Lantelme is in the center). Photo by Reutlinger. Postcard SIP 1352. Caption: Lantelme. Photo by Reutlinger. Paris-New-York was a comedy written by Francis de Croisset and Emmanuel Arène for Théatre Réjane in 1907. It wasn’t a big success, and Lantelme’s role was a very little one. 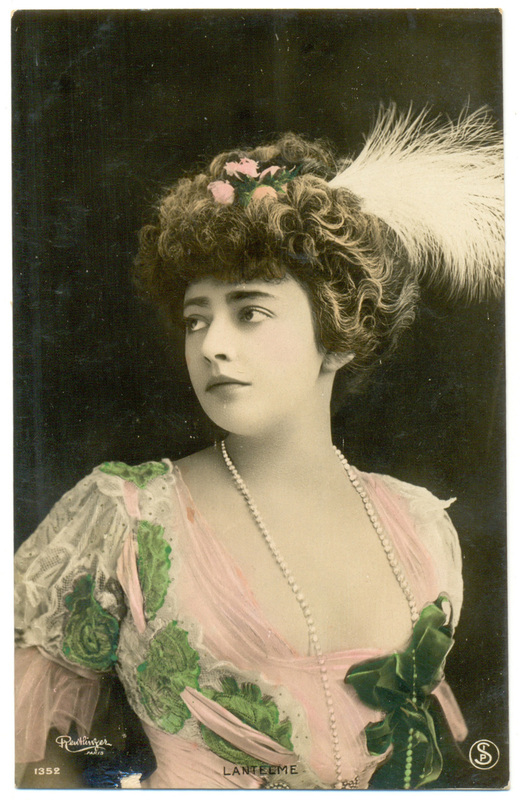 Tired to perform insignificant roles, Lantelme had a violent quarrel with Réjane and even moved to Lyon, where she starred in Le Ruisseau (written by Pierre Wolff) and in classic Le Barbier de Seville. 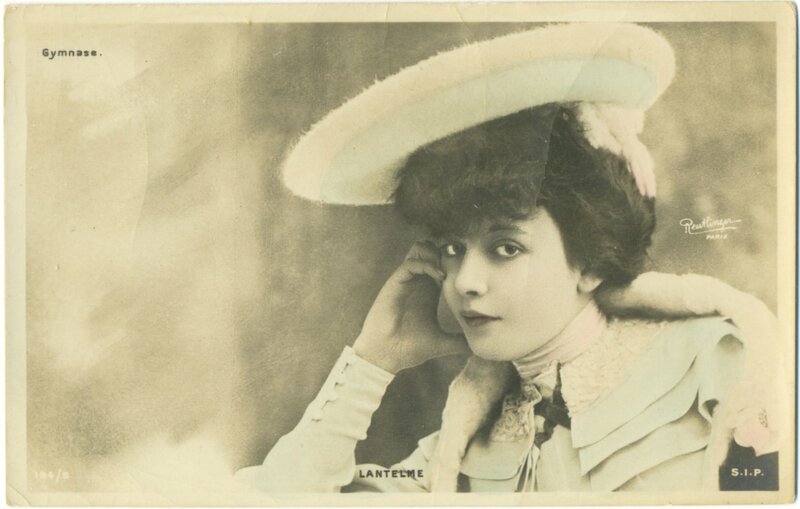 Lantelme in Paris-New-York, 1907. Scans from Illustration Theatrale and from Le Theatre. 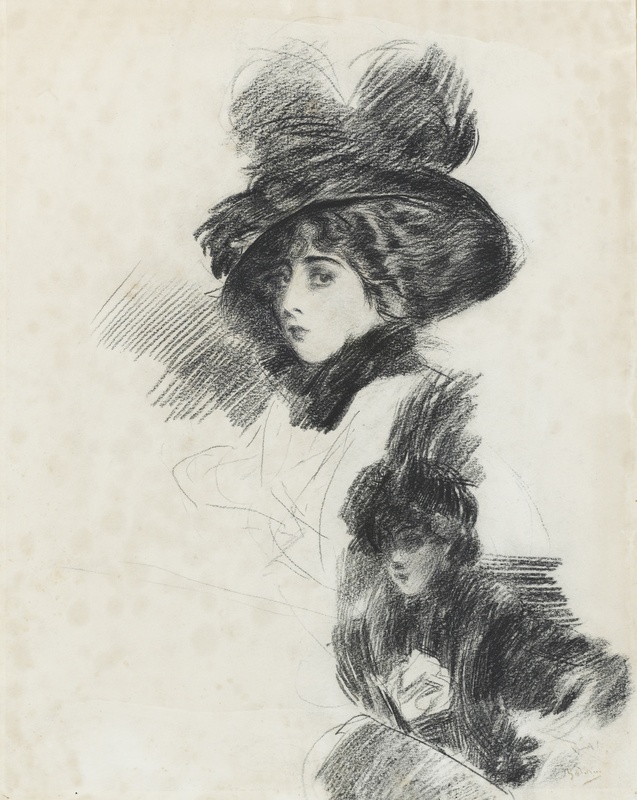 Giovanni Boldini. Elegante au chien (1907). Maybe it’s Lantelme, at least the profile and the jabot are very similar. 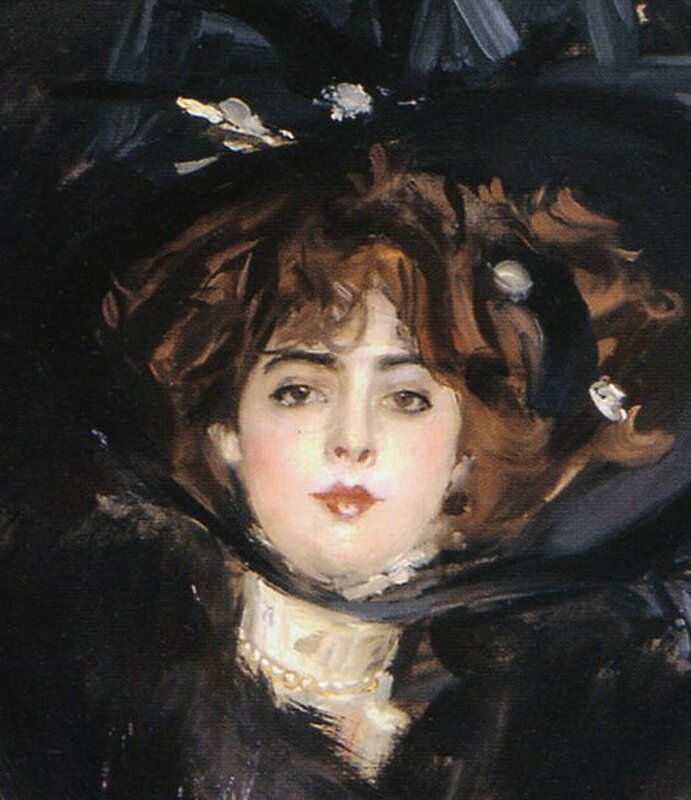 Lantelme and Boldini: another portrait? What do you think? Could a picture on the right be a portrait of Lantelme? Left: Giovanni Boldini. Mademoiselle Lantelme (1907, detail). Right: Giovanni Boldini. Signora con cappello di piume (detail). Sometimes this portrait is also called Il cappello. I didn’t find any info about the portrait on the right, so if you have an info aboui it (or if you find a photo of the full picture Signora con cappello di piume, because there’s only a picture detail online), please let me know. 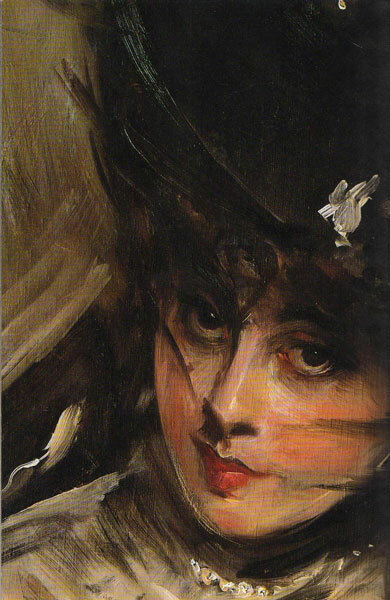 Giovanni Boldini. 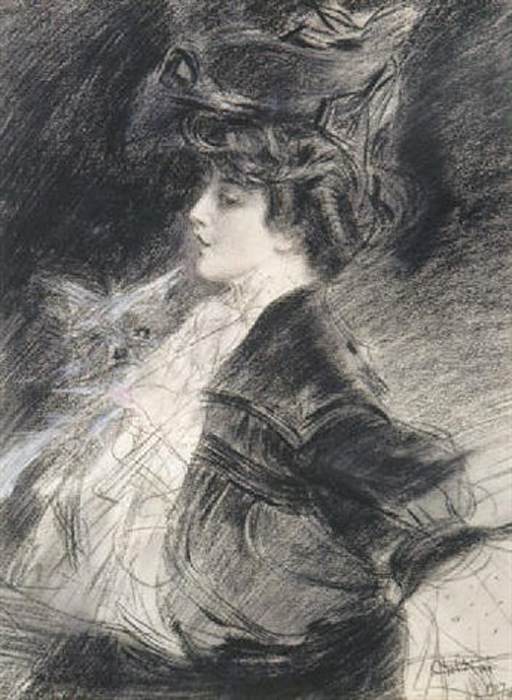 Elegante au chien (1907; I think it also could be a portrait of Lantelme, and the dog looks like one of her dogs). Lantelme with her dog, photo made circa 1901/1902.